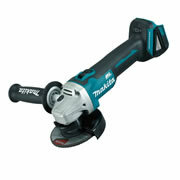 Cordless grinders (or angle grinders) are a staple of the construction industry and are omnipresent in many tradesmen’s tool bags. 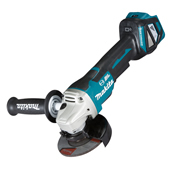 Grinders have a multitude of uses, perfect for cutting, grinding, polishing and sanding so in many trades, they are an essential tool. 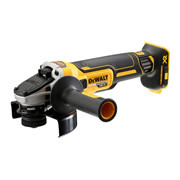 The range here at ITS includes Bosch, Dewalt, Hitachi, Makita, Metabo, Milwaukee and Panasonic with a variety of voltages so getting the right tool can get confusing. For peace of mind and advice you can always give us a call and we’ll help guide you through the different choices. 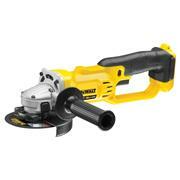 Who needs a Cordless angle grinder? 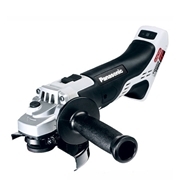 In metalworking, grinding tools are an absolute must, as they have various uses for cutting metal and smoothing welded surfaces like you see on wrought iron gates and metal fences. 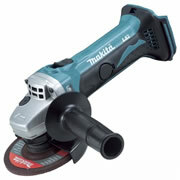 Plus, depending on the disc you attach, grinders are able to remove paint and rust from metallic surfaces. 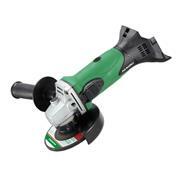 For decorators and stonemasons, they can also be useful as there are attachments available to enable grinders to cut materials such as tiles and paving slabs without having to be stuck at a mounted grinding tool. 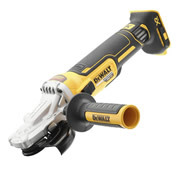 What are the benefits of this type of tool? Obviously, having a multitude of different applications gives flexibility and offers good value for money. 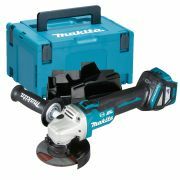 There is a large choice of discs available for the range of different applications that a tradesman would use an angle grinder for. 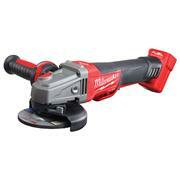 Additionally, grinder discs are quick and easy to change so you can work efficiently when on a complex job. 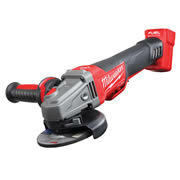 Angle grinders generally come with a side handle which can be attached to both sides of the tool for the benefit of right and left handed tradesmen. 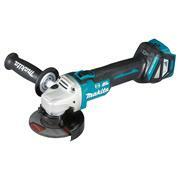 Why would I have cordless grinder? 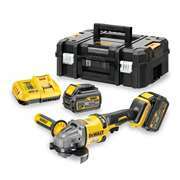 Working cordlessly makes life a lot easier when working on site. Without the disadvantage of trailing power cables, you are free to work at height and away from the mains plug and with the development of battery technology over the past few years, consistent and long-living power is at your fingertips. 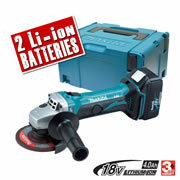 With Li-ion batteries, ranging from 10.8v to 18v, you get high power combined with low weight and no memory. 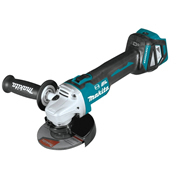 Cordless grinders currently come in 115mm disc size but despite of this limitation, the full gamut of different metal and masonry discs are available to you.